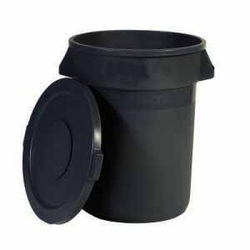 We are now offering the Soilsaver Classic home composter for sale to residents of our district for $50*. Out-of-district individuals may purchase this unit for $65. The SoilSaver makes it easy to turn yard waste and food scraps into compost – black gold for your garden! *CVSWMD cannot accept credit card payments. Exact change cash or check please. Insulating UV-resistant foam construction holds in the heat. Watering holes in the lid keep compost moist and healthy. Durable nylon fasteners resist rust. Large capacity serves a household of up to 5 people. Locking lid keeps critters out. Two-foot-square top opening makes it easy to fill and mix. Two sliding bottom-access doors allow easy compost harvesting. Bottom air-intake ports on all sides. Easy to assemble; no tools required. Call 802.229.9383 ext. 102 for more information or come by the office between 8AM and 5PM Monday through Friday to purchase one. We met up with Bruce Sargent at the Growing Local Festival last week. He gave us a great idea for home composting: something cheap, simple, and incredibly easy for anyone to do. He simply dumped his food scraps into a black plastic trash bin and turned it a quarter turn every day to keep it heated evenly. He said he could not believe how quickly his food scraps turned into beautiful, rich compost. Thanks for the idea, Bruce! We found these instructions for a slightly more involved version of the same thing on the Big Blog of Gardening. We love re-use ideas, and came across this oldie in a book recently acquired at a church rummage sale: "Re-uses: 2,133 Ways to Recycle and Re-use the Things You Ordinarily Throw Away." Author Carolyn Jabs includes this gem on page 74: "Making Compost in the Kitchen." She explains that you can take a standard milk or orange juice carton, lay it on its side and cut a small opening at the top (and fold back, like a hinge." Add compost, but first cut food scraps into 1-inch or smaller pieces. Jabs suggests pulverizing scraps in a food processor prior to adding to the compost, which seems a bit over-the-top to our sensibilities here at CVSWMD. But if you want to, that's an option. If your food scraps are "gloppy" drain off excess liquid into a plant or the sink. Sprinkle a bit of unsterilized soil over food scraps every day, and stir after each layer. Keep adding kitchen scraps and layering with soil until its full; give it one last stir, cover, and set aside. Start a new carton while the first one "cooks." After about three-weeks, the first carton should contain crumbly brown soil. Add it to your houseplants or garden, and start all over again!